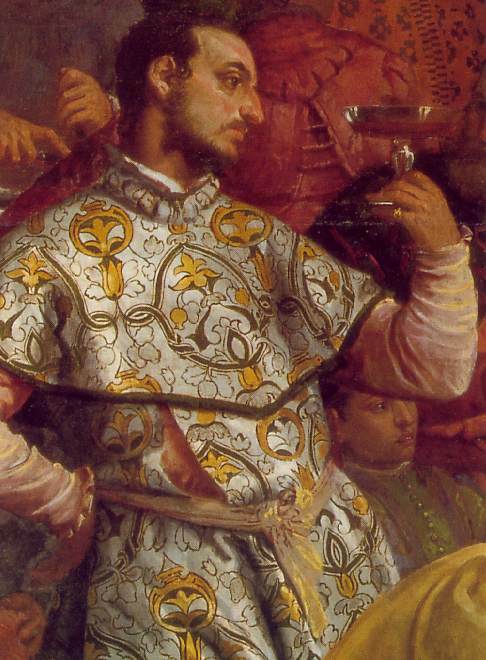 Veronese, Paolo (Paolo Caliari) (1528-88). Italian painter, born at Verona (from which his nickname derives), but active in Venice from about 1553 and considered a member of the Venetian school. With Tintoretto he became the dominant figure in Venetian painting in the generation after Titian and he had many major commissions, both religious and secular. He soon established a distinctive style and thereafter developed relatively little. Few of his paintings are dated or can be reliably dated, so his chronology is difficult to construct. Similarly, because he had such a highly organized studio and his output was so large, there can be problems in distinguishing the work of his own hand. Nevertheless, his status and achievement are clear. He was one of the greatest of all decorative artists, delighting in painting enormous pageant-like scenes that bear witness to the material splendor of Venice in its Golden Age. Marble columns and costumes of velvet and satin abound in his work, and he used a sumptuous but delicate palette in which pale blue, orange, silvery white, and lemon yellow predominate. He painted many religious scenes as well as mythological and allegorical works (and portraits), but his penchant was for feast scenes from the Bible rather than incidents from Christ's Passion. 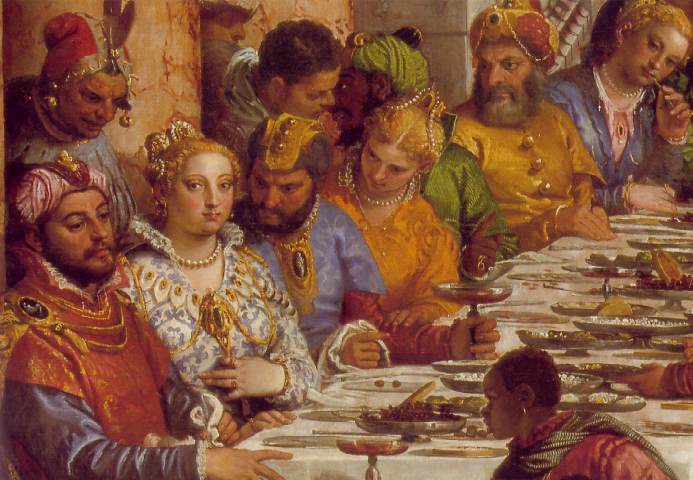 His love of richness and ornament got him into trouble with the Inquisition in a famous incident when he was taken to task for crowding a painting of the Last Supper with such irrelevant and irreverent figures as 'a buffoon with a parrot on his wrist... a servant whose nose was bleeding... dwarfs and similar vulgarities'. 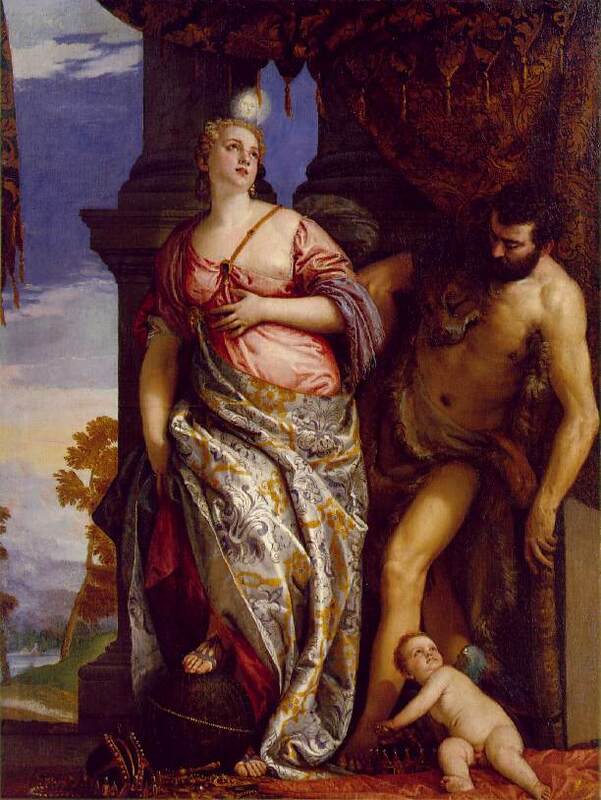 Veronese staunchly defended his right to artistic license: I received the commission to decorate the picture as I saw fit. It is large and, it seemed to me, it could hold many figures. 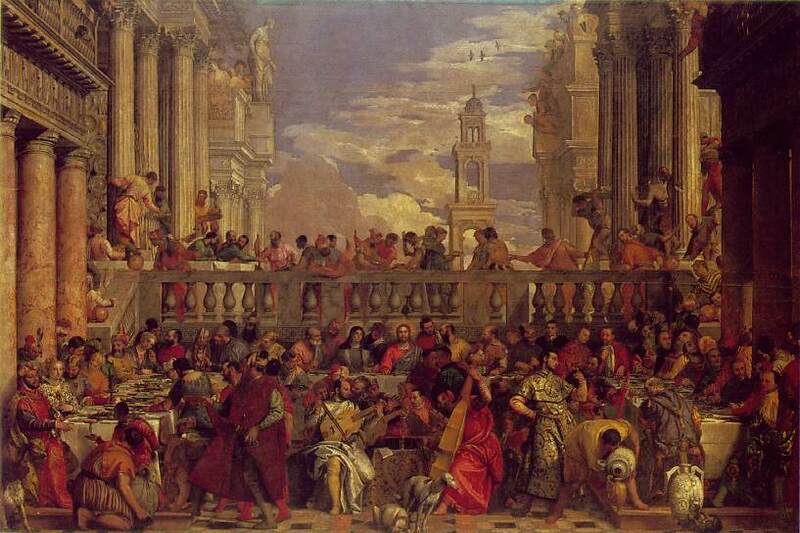 He was instructed to make changes, but the matter was resolved by changing the title of the picture to The Feast in the House of Levi (Accademia, Venice, 1573). 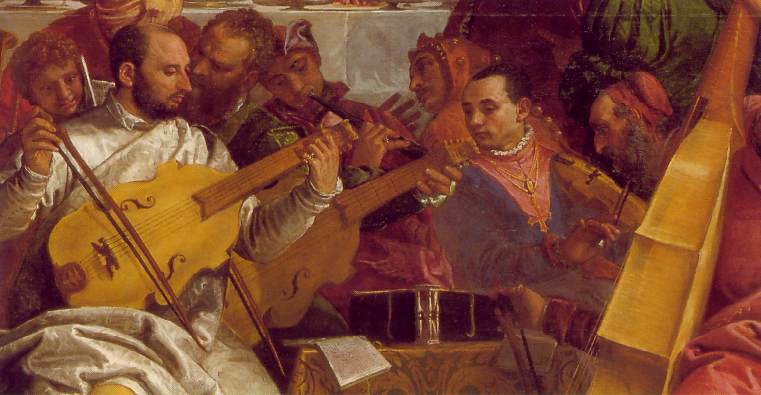 Veronese's other great works include the delightfully light-hearted frescos (including illusionistic architecture and enchanting landscapes) decorating the Villa Barbaro at Maser, near Treviso (c. 1561) and the resplendent Triumph of Venice (c. 1585) in the ceiling of the Hall of the Great Council in the Doges' Palace, Venice. His studio was carried on after his death by his brother and sons. He had no significant pupils, but his influence on Venetian painting was important, particularly in the 18th century, when he was an inspiration to the masters of the second great flowering of decorative painting in the city, above all Tiepolo.